It will be once a judge signs off on the papers, which could be somewhere around mid-June. It marks the end of a long, hard, fight for Kim. She has been battling Kris Humphries in court for over a year and a half now, fighting to end her 72 day marriage. Kris, however, has been fighting back, pushing for an annulment and claiming that the whole marriage was a fraud, and that Kim only married him for the publicity. The long, drawn out divorce proceedings between Kris and Kim lasted an epic 536 days, a crazy number when you compare it to the 72 that they were married. Kris wanted to keep on fighting Kim, asking for no money, but a public apology and admission that the whole marriage was a fraud, and a publicity stunt. Kimmy K wasn’t having any of it, and she kept fighting tooth and nail the whole way, showing up to every court appearance, even when Kris skipped out. Her perseverance paid off, however, when the judge determined that there was no fraud, and urged Kris Humphries to reach a settlement agreement with the very pregnant Kim Kardashian. While Kris was pushing for an annulment and $7 million, he ended up leaving with nothing. He even had to pay his own attorney’s fees. Kris isn’t getting any money from Kim, and he isn’t getting that public apology either. Looks like both of them will just go their own ways, which is exactly what Kim was hoping for. It looks like she just barely got her divorce before her baby arrives, since she is due in July, and the divorce won’t be legally final until somewhere around the middle of June. We’re sure that Kanye West is happy that his baby mama is no longer married to another man! 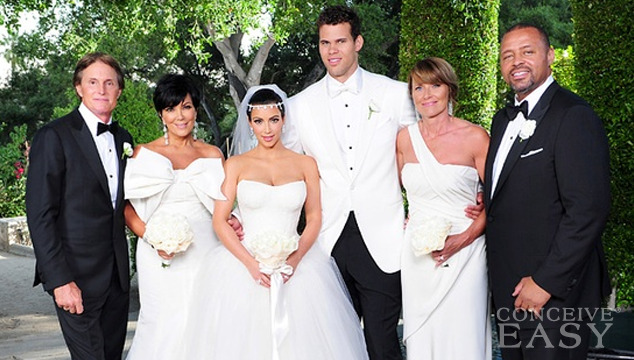 Even though Kris Humphries wasn’t awarded anything in the divorce, he should probably be counting his blessings. That’s because Kris is lucky he didn’t get in trouble for skipping out on court. He was getting ready to be hit with some hefty fines from the judge for skipping out on all those important court dates where Kim showed up pregnant. However, since the divorce has been settled now, the judge ruled that Kris’ failure to appear was “irrelevant.” So, while he didn’t get what he wanted out of the divorce, he should thank his lucky stars that he didn’t get in any more trouble for skipping out on those court dates.